America's pastime wouldn't be what it is today without the emergence and production of wood bats by a variety of different companies. Louisville Slugger, Marucci, and more put their talents to work and push the envelope regarding innovation and style. Whether it be ash, maple, birch, hickory, bamboo, or composite materials, there is a bat out there for everyone. To ensure you're not missing out, the team at JustBats has compiled this list of wood bat manufacturers so that you can get as much information as possible before you buy your next bat. As we come into contact with and have experience with each manufacturer, we will update this list. A name that is synonymous with wood baseball bats is Louisville Slugger. They are one of the most well-known names in the industry and have over 130 years experience crafting some of the best wood bats in the game. Slugger started their journey back in 1884 under the innovative John "Bud" Hillerich and have since sold over 100,000,000 bats. Not to mention they are now the official bat of Major League Baseball. Need we say more? To add to the legacy, Louisville Slugger wood bats have been swung by some of baseball's all-time best players, including Babe Ruth, Ty Cobb, and Lou Gehrig. The best part? Slugger has stayed true to their roots and still handcraft each bat in the USA in Louisville, Kentucky. Their museum and factory tour is a highly rated tourist activity and is bound to be a hit with all family members. Marucci Bat Company specializes in handcrafted, customized wooden baseball bats for players of all levels. It all started in Jack Marucci's backyard shed. He would turn out wood bats for his son in his spare time and always had a passion for woodworking. When Major Leaguers Kurt Ainsworth and Joe Lawrence ran into Jack Marucci during their time at Louisiana State University, the three of them combined to create Major League Baseball's most popular stick, according to Forbes.com. Marucci wood baseball bats have begun popping up all over the place, including at MLB games. This is in large part due to their player endorsed philosophy. Essentially, they do not endorse players, but rather have player's invest into the company. Jose Bautista, Chase Utley, and Albert Pujols are just a few of the many who invest time and money into one of the most saught after wood bats ever. Ainsworth, co-owner of Marucci, was quoted saying, "We still turn down orders to this day. We cannot service everybody." This is not intended to create exclusivity but rather because they want controlled growth to keep their attention to detail and high-quality products up to standard with what they've been producing since their inception. Every Marucci bat is cut, calibrated, balanced, buffed, and lacquered by hand. If one of their wood bats comes off the production line and is not up to their high standards, it will be sold as a Pro Cut or a blem bat rather than a Pro Model. Only 13 percent of the wood bats they initially carve will make it on to a Major League diamond. How's that for high quality? Marucci gives a whole new meaning to the term, "Honor The Game!" Established in Osaka, Japan back in 1906 by Rihachi Mizuno, Mizuno Sporting Goods now has a USA location located in Norcross, Georgia and has been creating high-end baseball equipment longer than most companies have been around. While they do provide sporting goods for a variety of different sports, their wood bats do not take a back seat to anyone or anything. With a wide range of maple, ash, bamboo, and even composite wood materials, Mizuno wood bats are some of the best in the business. Each model provides a rich finish and is hand selected to ensure dependability while the pop and performance that results from using a Mizuno wood bat is unparalleled and guaranteed to increase your confidence at the plate. Watch former MLB player Billy Butler explain why he loves and swings Mizuno. "They last longer than any other wood bat." "There is so much time put into each bat, and they offer the best feel." "Mizuno gets it right every time." "The ball comes off a lot cleaner and a lot quicker." "When you hit on the sweet spot, it sounds different than any other bat." Owned and operated by Pinnacle Sports Equipment, Inc. BamBooBat is unique in the sense that they don't offer as many traditional maple or ash wood bats, but rather place a focus on bamboo material. Because bamboo is known as one of the strongest plants in the world, durability has become commonplace with BamBooBat. As a matter of fact, their 2017 Granite series offers an industry-best two-year manufacturer's warranty. 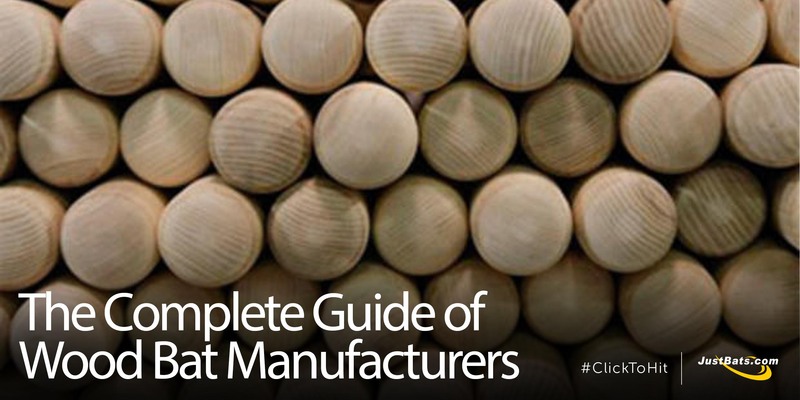 Most wood bats don't feature any warranty, much less a two-year warranty. You can swing with confidence knowing that the likelihood of your wood bat becoming defective is greatly diminished with a BamBooBat. Check out the sweet video they made exclusively for JustBats.com! As a part of Baden Sports, Axe is going against the curve and changing the game with their revolutionary and innovative handle. They have partnered with Victus Sports, also known as Victus Sticks, to produce MLB certified wood bats with an Axe handle. MLB superstars such as Mookie Betts and Dustin Pedroia of the Boston Red Sox have been using the Axe handle consistently and have nothing but great things to say about it. Now, whether or not the Axe handle is the main reason behind the Boston Red Sox powerful offense is debatable, but it has been a factor. Pedroia, who has had both wrist and hand surgery (you'll soon see why this is important), used an Axe bat for the first time and was then quoted saying, "This is it. This is the handle. I like this." Axe's pro models, all the way down to their youth wood bats, exude brilliance with an emphasis on safety, comfort, and control. Better Bat Control: An Axe handle stabilizes your grip and eliminates the "hammering" motion produced with a traditional round knob. More Bat Speed: Your range of motion is increased which reduces tension in the hands, resulting in an impressive speed through the hitting zone. Enhanced Comfort: Each Axe handle is ergonomically designed to naturally fit into the contour of your bottom hand. Reduces Injuries: Axe handles greatly reduces the common baseball injury of a broken Hamate bone in the hand. One of the newer bat manufacturers that have been around since 2004 is B45 Baseball. They cater to both Americans and Canadians and place an emphasis on birch wood baseball bats. With maple like hardness and ash like flex, birch bats are becoming more and more popular. 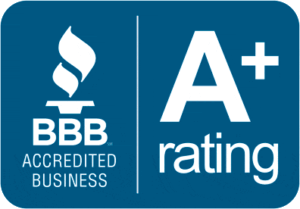 B45's mission is to remain the leader in the manufacturing of baseball bats and equipment recognized for their absolute quality and innovation for both professional and amateur players. They aren't known for being flashy or over-the-top, but rather place a focus on absolute quality, customer satisfaction, and sophistication. B45 has made it on the biggest stage with over 100 MLB player's taking them up to bat. Carlos Gonzalez and Jonathan Lucroy are leading the charge and have become brand ambassadors for Team B45. Below, you'll see Lucroy's sleek yet refined game day model that is handcrafted out of pro select yellow birch wood. 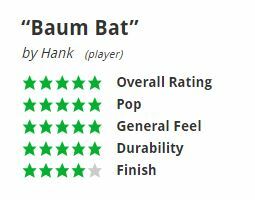 With right around 100 customer reviews from players, parents, and coaches, the Baum Bat is the highest rated composite wood bat on JustBats.com. Check out what these players had to say about this indestructible beast. Pros: "Very durable, good pop, very balanced swing... Recommend to anyone who is serious about baseball and needs a wood bat." Cons: "The bat is very plain, but it performs which is much more important than the looks." Pros: "I've been using this bat for three years now. I take BP with it in the cage and at practice. I hit grounders to our infielders with it. I use it in games. This bat has been abused and it still hasn't broken. It has amazing pop. When you hit the sweet spot you don't feel a thing. The handle may be thick for some but it doesn't bother me. As far as durability is concerned I play in 2 rec leagues here in VA that are 20-25 games per league not including playoffs. I've seen guys on my teams buy Louisville, Rawlings, even Marucci. They go through 6-10 bats per season and I've been using the same bat for 3 seasons. If anyone is skeptical, don't be. This is the best composite bat on the market. PERIOD. Nothing else compares. Not even those DeMarini bats." 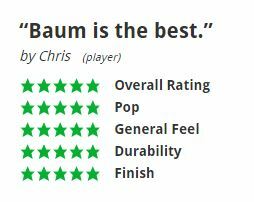 As you can see, you won't find a composite wood bat with more dependability than the indestructable Baum Bat! Bratt Sports is known for their world famous, premier weighted training bat that is manufactured with pride in the USA. It is the most effective and most used bat while on deck in the entire nation. As a matter of fact, a Bratt Bat was placed in the Baseball Hall of Fame in 1996, and it has been used by Major League teams since the late 1970s. It has been known to add up to 10 MPH to a player's swing speed and is covered with a Lexan plastic tube to ensure that it holds up for as long as you decide to train. Perfect for increasing bat speed and enhancing power at the plate, the Bratt Bat is recommended for all players from Little League all the way up to the Majors. Serious wood bats for serious players. BWP has been called a boutique bat maker by the NY Times, and they are based in Brookville, Pennsylvania. They are known for maple and red oak wood baseball bats that are proudly manufactured right here in the USA. BWP has been making bats that players prefer since 1999 and they're committed to quality, consistency, and competitive pricing. They guarantee that no third-grade wood is used in the production of their wood bats and that only the high quality ends up in your hands. Ever wonder how wood bats are made? If you're ever in the area, they offer a unique, behind the scenes tour of their facility where you can learn about their history and how they hand craft each individual wood bat. This is an awesome chance to see the ins and outs of how some of the games best bats are made. Oh, and did we mention it's free? If you don't have plans of visiting Brookville, PA in the near future, check out this video on the history of BWP Bats and their process from tree to home run! Founded back in 1989 and based in Hillsboro, Oregon. 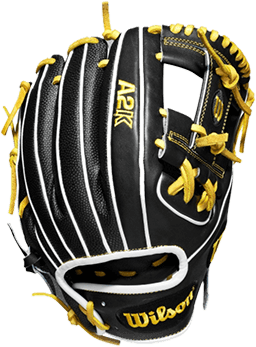 DeMarini Sports, Inc. is an American manufacturer that operates under the parent organization Wilson Sporting Goods. Most notably known for their composite baseball and softball bats, DeMarini also has a hand in the wood bat game. While the CF series has been taking names in both baseball and fastpitch softball for many years, DeMarini's pro wood bats are also a leader of the pack. They specialize in maple composite constructions and provide players with unparalleled durability and unheard of warranties. The most popular model of DeMarini wood baseball bats ever on JustBats.com is the DX243 we've shown below. With a pro grade maple barrel and a composite wood handle, DeMarini backs this design with a full three month warranty. Keep in mind that most wood bats feature no warranty at all. While the DX243 was and is extremely popular, DeMarini makes a great wood bat all around. The company's never settle philosophy is displayed day in and day out through their innovation, design, and quality. Dove Tail Bats, also known as DTB, are rising above the rest and have made a name for themselves in the Major Leagues with premium quality wood bats. With a variety of different pro models offered in many wood types, DTB is gaining some serious traction. They pride themselves on their unsurpassable customer service and what most people didn't know is that Dove Tail Bats is a Christian based company, hence the dove above the T in their iconic logo. DTB got their big break back in 2014 when MLB super star Yasiel Puig ordered half a dozen wood bats. Once fans and other players started seeing the success he was experiencing with DTB, everyone else quickly followed suit. Specifically, DTB was a huge hit with the World Series Champion Kansas City Royals back in 2016. During the World Series, 70% of the Royals runs scored were with Dove Tail Bats. Alex Gordon, Mike Moustakas, Eric Hosmer, and Salvador Perez all took DTB to the plate during that historic season. Simply stated, DTB is one of the best in the game and will allow you to rise above the rest in your baseball career. As an industry leader, Easton has raised the level of innovation, originality, and ingenuity since it was founded in 1922. While they have been creating aluminum bats since 1969, Easton is relatively new to the wood bat game. Easton engineers have taken their masterful skills from aluminum and composite materials and applied them to wood baseball bats. Whether you are a contact hitter aiming for the gaps or a power hitter swinging for the fence, Easton has created a wood bat to fit your preferences. Turn models of every kind are available in Easton's pro series. Whether you're looking for a 110, 243, or a 271, Easton has what you need. MaxBat, known for producing the hardest maple bats in the game, is based in the Midwestern state of Minnesota. As they say, "Our maple kicks ash." They are dedicated to America's pastime and prove that through their professional grade wood bats. Meticulous craftsmanship and elite engineering go into each bat, and the result is mind-blowing power, ridiculous balance, and a fantastic overall feel. Whether you're a professional, an amateur, or a youth player, Max Bats has got you covered with their wide array of options. Wil Myers, the 2013 AL Rookie of the Year, once said, "Max Bat is the only bat I'll swing" and for a good reason. His game day bat, the WM4, comes with a huge barrel, an end loaded swing weight, and pop like you've never seen before. It all started in a one car garage just north of Nashville, Tennessee back in 1999 and has since expanded into one of the top baseball bat manufacturers in the big leagues and beyond. Old Hickory Bat Company started their journey with local ball players and now caters to hundreds of some of the top players in baseball. Every order, regardless if you are a Major Leaguer or not, is cut from the same wood and treated with the same care and attention to detail. They pride themselves on their top notch customer service, and their main objective is to ensure you get the exact wood bat you desire into your hands as quick as possible. With both maple and ash options that are hand selected from the Northeastern United States, Old Hickory Bat Company passes high-quality standards with flying colors. Players who have used or currently use Old Hickory include Sammy Sosa, Matt Holliday, Carlos Beltran, Justin Upton, Hunter Pence, and of course, Mike Trout. Want to raise your game and swing Mike Trout's game day model? Check out this product video in case you need some convincing. Rawlings is a major manufacturer of competitive team sports equipment based in St. Louis, Missouri. Baseball was and is at the heart of their reputation for superior products and development as a company. With a legacy of innovation and top quality products, it's hard to beat what Rawlings has to offer. Through their commitment to America's pastime and its players, Rawlings has become an integral part of the game, and the distinctive Rawlings logo has been a constant on baseball diamonds across the nation since the early 1900s. But, to Rawlings, that logo is a more than just a logo. It is a mark that represents their core values both on and off the field. Intense research, development, and engineering play a vital role in the construction of Rawlings sporting goods, especially with their wood baseball bats. Over 125 years of industry knowledge and excellence goes into the construction of their models, and it is apparent at the plate. The Rawlings Big Stick has been the cornerstone of their wood bats, but the emergence of the VELO has been huge for the game of baseball. With the VELO, you are guaranteed a specific length to weight ratio so that you know what you're working with when you step up to bat. There is a reason Rawlings is considered one of the best baseball brands worldwide. They are considered to be a brand that athletes seek as they reach for the stars and you should consider them before you buy your next wood bat. Known as the original maple bat corporation, Sam Bat are makers and originators of some of the best maple wood bats sold worldwide. Designed and produced in Canada, this wood bat manufacturer was founded back in 1997. Through careful research and a thorough knowledge of wood types, Sam Bat was the first to introduce maple to professional baseball. They have set the standard and with success comes imitation as over 75% of the bats sold to professionals in 2015 were constructed with maple wood. The most high-profile names included big leaguers like Ryan Braun, Miguel Cabrera, and home run record holder Barry Bonds. Barry Bonds once said, "Confidence is everything at the plate and Sam Bat is confidence." If you've used Sam Bats in the past, you may have noticed the term "Rideau Crusher" on the face of the barrel. Have you ever wondered the meaning behind this? JustBats did some investigating and solved the mystery of Sam Bat's Rideau Crusher mark. Over 20 years of knowledge and experience in the industry with a rich tradition and heritage leads us to believe that Sam Bat crafts some of the highest quality wood baseball bats available anywhere. Pick up yours today with free shipping every day only at JustBats.com! The dream and creativity of one man, Kyozo Sasaki, was the foundation of SSK Sports. Premier products combining with elite athletes bring out the best performances day in and day out and that is exactly what SSK strives to do. All the while, their traditional SSK bullet logo stands behind everything they make, especially their wood baseball bats. While they do provide pro models for players such as Robinson Cano of the Seattle Mariners, SSK is most famous for their fungo bats. Coaches, parents, and professionals across the nation rely on the dependability and consistency of their two most famous models: the PS-150 and the PS-200. Year after year, these two ash wood fungo bats make it easier to hit ground balls or fly balls without the worry of fatigue. SSK has gone from one in the field to number one on the field. Looking for a Major League experience with your next wood bat? Tucci Lumber Company is just what you're looking for! These handcrafted bats have been giving baseball players an edge worldwide since 2009, making them relatively new to the game of wood bat manufacturing. But, just because their new to the game doesn't mean they aren't turning out some of the best wood bats in the game. After a promising Big League career was cut short by a devastating injury, Pete Tucci founded Tucci Lumber Company with the loving support of his wife, family, and friends. Using his experience and connections from MLB, Tucci began to conduct serious, extensive research trying to find a way to refine the manufacturing process of wood bats. After much deliberation, Tucci Lumber is now trusted by hundreds of pro players and countless others across the globe. The most notable names swinging these high-performance wood bats are Troy Tulowitzki and Pablo Sandoval. As of 2015, Tucci Lumber Company has launched a new brand and now go by the name Tucci Limited. This is due to their drive and ambition to carry their passion into new categories and products outside of wood baseball bats. Victus Sports, formed in New Jersey back, was founded on the experience of bat makers Jared Smith and Ryan Engroff. These two put their knowledge and skills together and through extensive trial and error began to explode onto the professional sports scene. Their number one pledge is to use only pro quality, number one prime wood which in most cases not only extends the life of your bat but can add up to 15+ feet of distance on each hit. Victus is Major League Approved and is now collaborating with Axe Bats to combine their high-quality wood bats with the patented Axe handle. 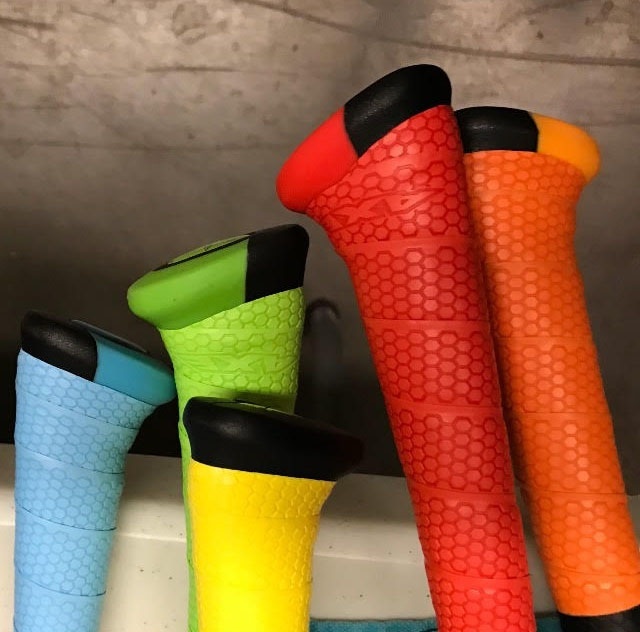 As one of the most creative and innovative wood bat companies in the world, Victus provides custom color finishes and logo designs that are sure to set them apart from the competition. Once you've swung a Victus bat, you'll never want to swing any other wood again. Viper Bats was founded back in 2003 in the state of Washington and is the premier Northwest custom bat manufacturer. If you're looking for the best custom wood bat made in America, you need to consider Viper. The team at Viper Bats are true craftsmen, and they consider themselves "Masters Of The Maple Wood Bat." With Viper, you're sure to receive a wood bat with great pop and excellent longevity. 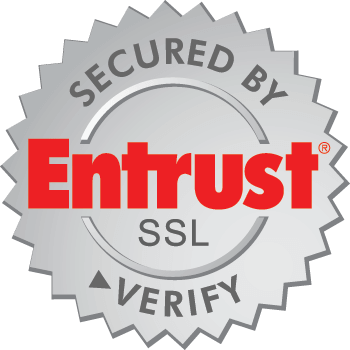 They are extremely professional and knowledgeable when it comes to their product. Viper handcrafts some of the greatest wood baseball bats. Period. The main advantage to swinging Viper wood bats is their attention to detail in the selection of wood. European beech, hard maple, white ash, and yellow birch are the options offered and Viper guarantees that they cut with the grain to ensure unbeatable durability. Warstic is an independent, Texas-based sporting goods company that places an emphasis on creative design and shows passion for competition. They were founded by a native Texan named Ben Jenkins who then went on to partner with MLB All-Star Ian Kinsler and musician Jack White in an uncommon collaboration. White was quoted saying, "I discovered the Warstic company through my love of design." Together, the three of them add "...beauty and purpose to the weapons that athletes use to accomplish their goals." Warstic baseball produces some of the most unique wood bats with quality, elite craftsmanship, and exquisite durability. Their company goal is to focus on the art of hitting and to create a sacred weapon with substance, style, and identity. You can find Warstic bats constructed of ash, maple, and birch. Below, you'll see their company goals portrayed through Ian Kinsler's game day maple wood baseball bat. Remember, all of these top manufacturers have wood bats available at JustBats.com with free shipping every day. Keep in mind, if you have any questions or concerns, you can always call our friendly customer coaches at 866-321-BATS (2287), shoot them an email at support@justbats.com, or click here to live chat!